White on white seems so elegant for a wedding card. I have a lot of elements on this card, but I'm hoping they all seem to work together! First we have a subtle stamped background in a light grey ink, followed by die cut vellum. 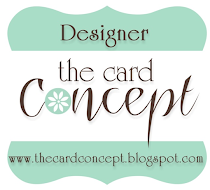 That gorgeous Memory Box die cut was lightly sponged with the same grey ink and adhered to the vellum. 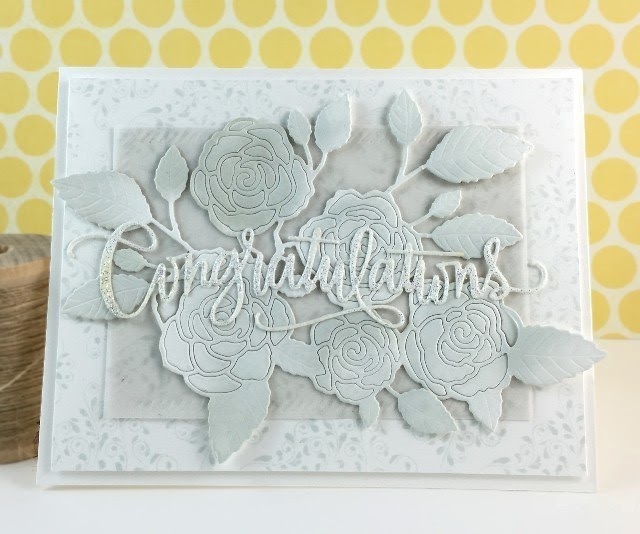 Finally, the sentiment die cut and heat embossed with sparkly powder. I love how this turned out! I'm playing along with the latest Runway Inspired Challenge #94. I tried to mimic that light, airy feel that the dress in the picture gives off. Wow! Stunning! That Memory Box die is just amazing, love the tone on tone! I really love your card! Totally eye -catching. Good luck! Oh - this is AMAZING Marcie!!! PERFECT take on the challenge photo! SOOO glad you joined us on the Runway!!! Thanks for leaving me some love! Paper-crafter. Excitable by nature. Often loses voice due to excessive talking. Living a happily married, mom of 2, livin' in the country kind of life. All content including text, photographs and artwork is ©Marcie Sharp unless otherwise noted, and may not be copied for publication or contest submission. It is shared for your personal inspiration only.....have fun and enjoy! !